An introduction to Roald Amundsen. A presentation summarizing his achievements and legacy from the Heroic Age of Antarctic exploration for use in schools by teachers and students or anyone interested in his story. Norwegian Roald Amundsen spent his whole life involved in Polar exploration, the majority of this being in the Arctic. He only went on one expedition to Antarctica on which he led the first party to reach the South Pole, he never returned. Amundsen was an expert traveller and survivor in the harshest environments on earth, this was his legacy, that it was possible with sufficient meticulous planning and the correct equipment to reach goals under the most difficult of circumstances previously otherwise impossible. Amundsen and his party of five returned safely from the pole while Captain Scott and his team who arrived five weeks later perished along with all of his companions on the way back. 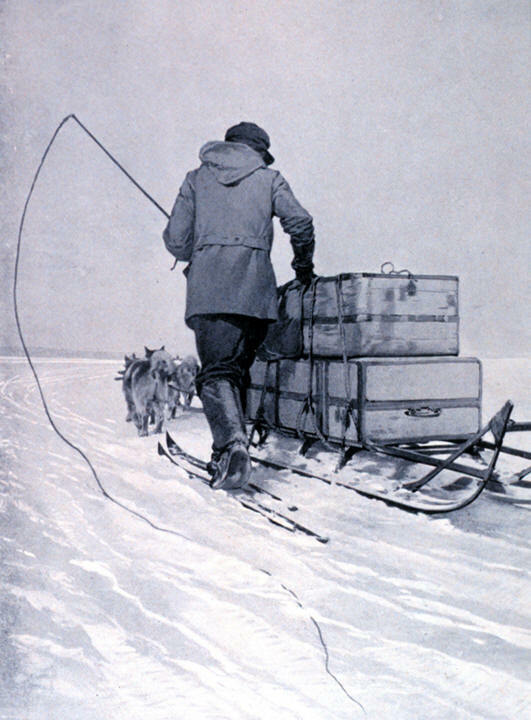 Amundsen carried the guilt for his survival to the end of his life. 3 - Amundsen was 39 years old at the time, he was an expert in polar travel having spent his whole adult life involved in extreme travel and exploration in the Arctic. Wild places and exploration were what he lived for. 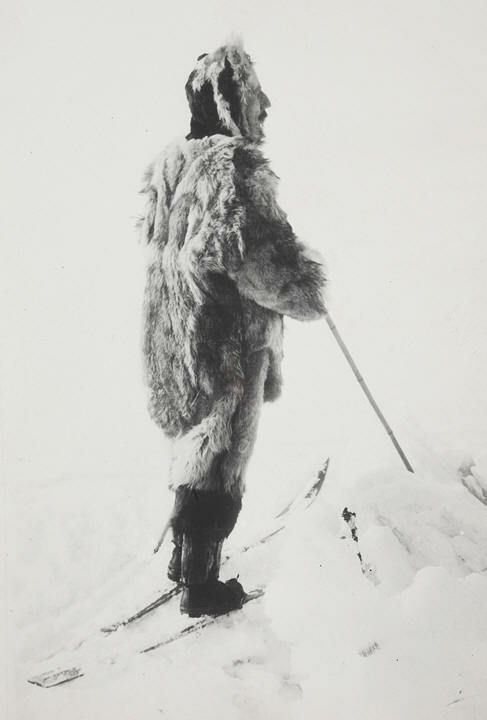 Amundsen had lived alongside Inuit peoples in the Arctic, he learned their survival techniques, how to travel with dog sleds and how to dress for extreme cold using furs whether at rest or involved in strenuous activity. 4 - The men he took with him were also experienced in polar conditions. His South Pole journey was very focussed, there were virtually no scientific measurements taken and no scientists. 5 - Much is made of the â€œRace to the Poleâ€ with Robert Scott. It was only really Amundsen who decided there was a race. He had intended to be the first to the north pole, but shortly before he was ready, the news broke that two other explorers, Cook and Peary had already reached it. 6 - Having invested more time and money than he could afford to lose, Amundsen had debts to pay and backers depending on him. He decided to try for the South Pole instead, even though he knew Scott had already set off thinking his was the only attempt at that time. Amundsen didn't even tell his own crew when they set off from Norway aboard the ship Fram, just the captain and two others. The rest were told after the ship had sailed thousands of miles south to the island of Madeira. 7 - After returning from Antarctica, Amundsen paid off his debts and used the money he made to establish a successful shipping business. He used the money from this to finance exploration of the Arctic by air. He never returned to Antarctica. He died in June 1928, 17 years after reaching the pole with a crew of five in a small flying boat that took off from Tromso, Norway. He was on a rescue mission for the Italian balloonist Nobile and two others whose airship had crashed on the way back from the North Pole. 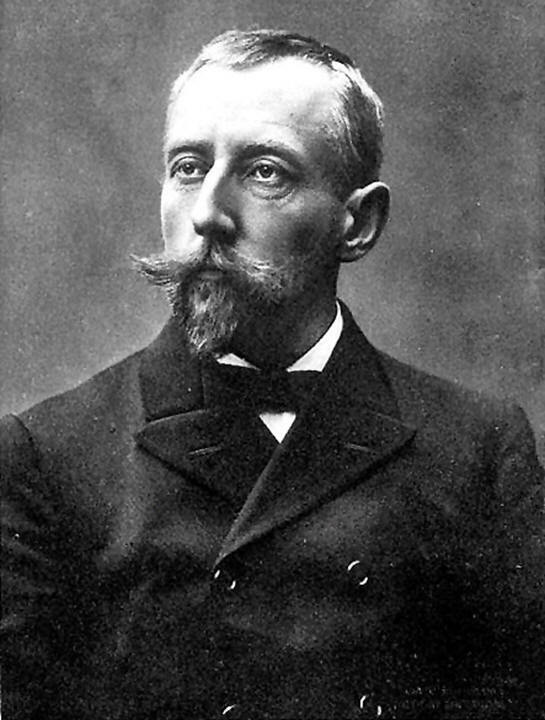 8 - Amundsen took the criticism of the manner in which he became first to the South Pole badly. It is said that he was much troubled by the fact that Scott and his men died, though his actions had no actual impact or influence on Scott's men prior to their reaching the pole. He was described as unhappy and that he felt the rest of his life to be an anti-climax. 9 - Amundsen didn't receive the same adulation or financial security as his mentor, the Norwegian explorer and national hero Nansen, even though his achievements eclipsed those of Nansen. Amundsen had become the first person to visit both poles when he drifted over the north pole in an airship from Spitsbergen in Norway to Alaska in 1926 and had led the first successful navigation of the fabled North-West Passage in 1903-1906 in the Gjoa. 10 - Amundsen was overlooked for many years, largely being in the shadow of Scott, it was only when the Scott myth began to be questioned from the late 1960's onwards that Amundsenâ€™s story began to emerge from the shadows somewhat, even in his native Norway. Not until the 100th anniversary of reaching the pole, on the 14th of December 2011 was a South Pole monument to Amundsen and his party unveiled in Oslo, the Norwegian capital.